The excellent people who have been campaigning to get the Roseangle Play-park upgraded are in line for some more funding. This time they are up for an award from the Bank of Scotland's Community Fund, the fund is offering £3000. There is a vote the details of which can be seen here. 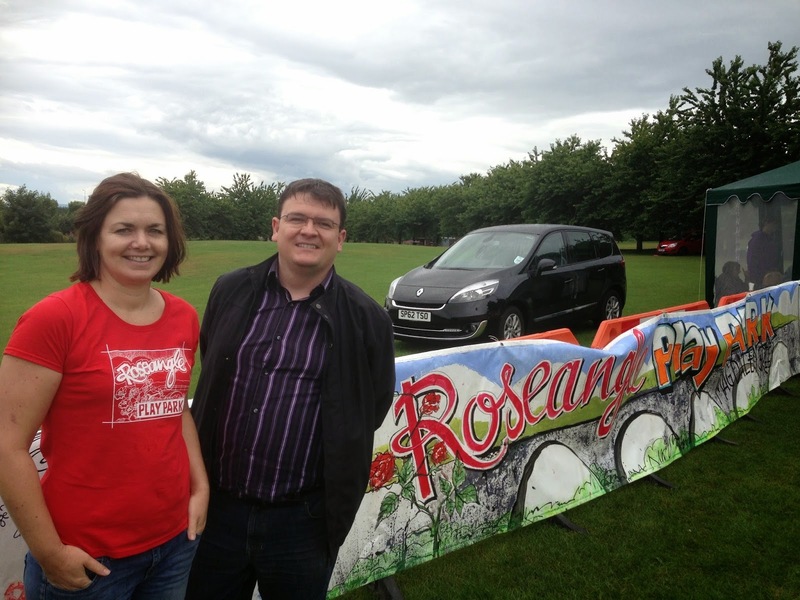 Please support the Roseangle Play-park project which is under the name of Friends of Magdalen Green. The local residents who are leading this campaign are doing a great job of improving our community. I am very happy to support them. I would also be interested to hear from any other local residents who have ambitious plans to improve their local areas in a similar way. Tonight I was delighted to attend the September meeting of the Community Spirit Action Group. I was pleased to listen to the real concerns of local people about air pollution, recycling, parking issues and the state of local parks. Funnily enough nobody raised any constitutional issues. I gave my report and reported on my call for the council to take effective action about pollution at the junction of Cleghorn Street, Lochee Road and Rankine Street. Time after time this is reported as one of the most polluted streets in Scotland and I think that it is high time that action is taken. I am calling for a summit of the all the interested parties including the council, SEPA, the Scottish Government, TACTRAN, local bus companies and importantly local residents to discuss what can be done. I also pointed out that the council has pushed through the proposals to bring in 'fortnightly' bin collections. I agree that the city must improve it recycling record. Dundee used to be at the forefront of recycling, thanks to the work of council officers, local residents and Labour councillors such as the late Julie Sturrock and George Regan. The area covered by Community Spirit (the northern part of the West End ward) includes mostly tenements and other flatted properties and will be among the hardest parts of the city to implement the council's policy. I will be asking how the council is going to do this.